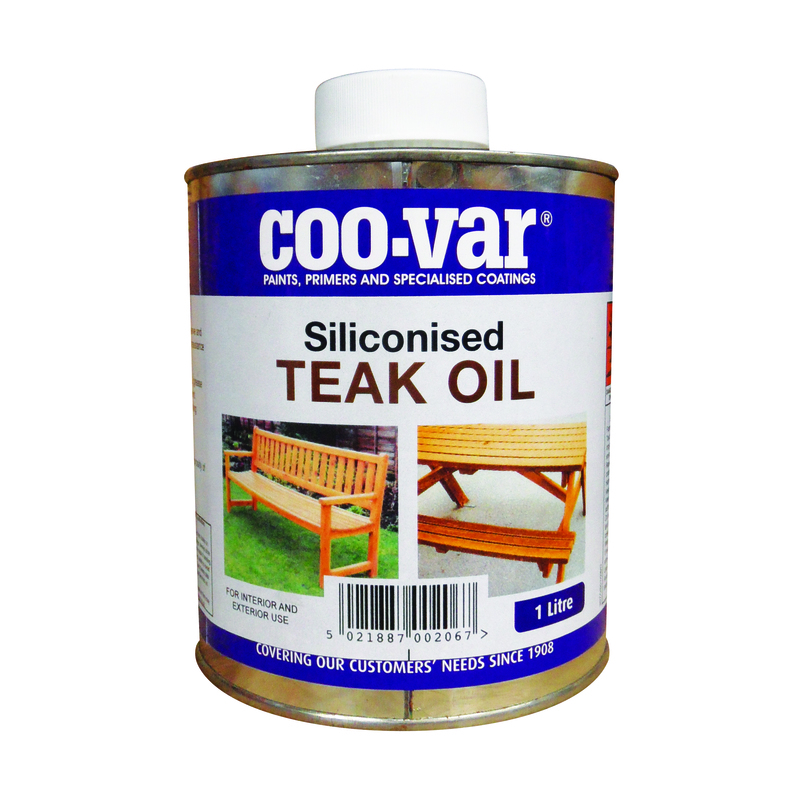 A blend of natural oils and silicone derivatives which enhance preserve and restore the appearance of teak. Makes timber appear natural and oild rather than shiny. Suitable for interior and exterior us and has a good degree of resistance to water. Teamac Siliconised Teak Oil is a blend of natural oils and silicone derivatives which enhance, preserve and restore the appearance of teak and other hardwoods. It has a good degree of resistance to water and can be used inside or outside. The oil takes better to hardwood than traditional varnishes.